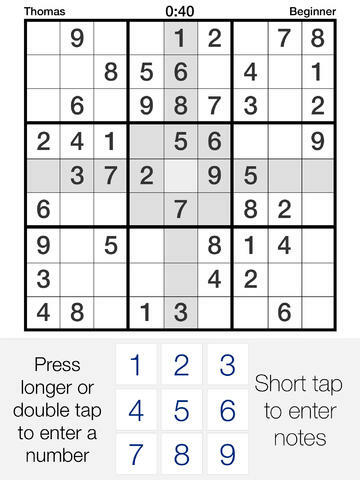 Sudoku puzzles offer an entertaining an effective way of exercising your brain and keeping your mind sharp. Training your brain with puzzles like this has been proven to reduce cognitive decline in elderly individuals, as well as improving overall cognitive function in men and women of all ages and from all walks of life. 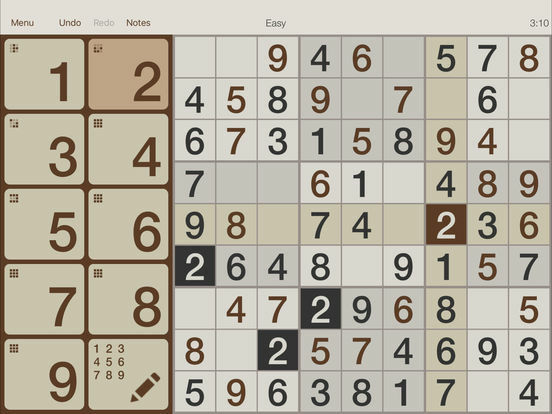 Whether you want to maintain the health of your brain or you're simply looking for a fun way to pass the time, you're sure to find something for everyone in today's list of the best sudoku apps for iPad. 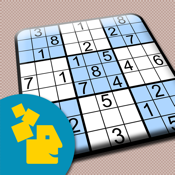 This is one of the best Sudoku apps for the iPad as it offers an unlimited amount of puzzles for you to play. It features Game Center with 5 leaderboards and 20 achievements, Social Media integration, 5 levels of difficulty, the ability to load or save a puzzle to the app’s database, Statistics for finished puzzles, pause or resume capabilities, Undo and Redo capabilities, Smart Notes, Hints, prevent your iPad from going to sleep, In-game progress indication and so much more. With all of these great features, it’s a surprise you haven’t downloaded this app already. There’s an in-app purchase to remove ads. 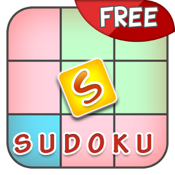 Containing more than 120 free sudoku puzzles, this app comes packed with Sudoku variants including the Mini, Diagonal, Irregular, OddEven, and Mega Sudokus. 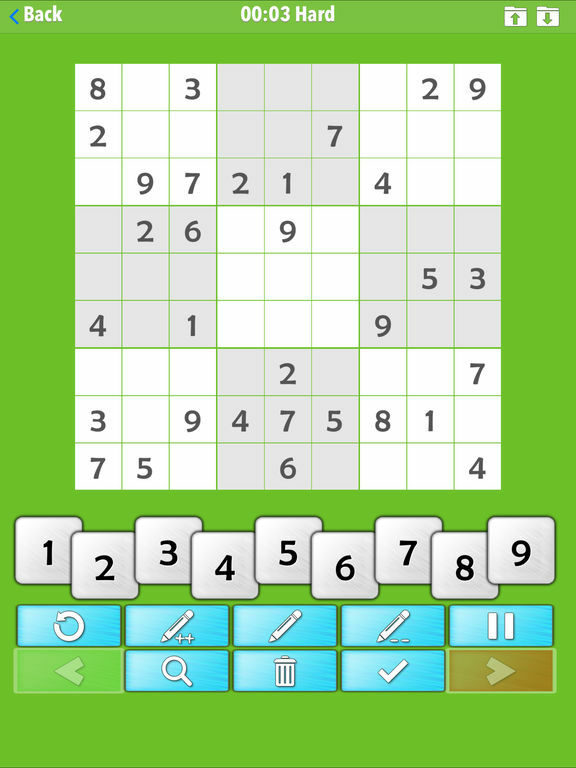 There are new puzzles published for free on a regular basis by the developers. This app will help enhance cognitive skills while you kill time on your phone. There are various difficulty levels and users can save the puzzles where they left off so they can come back to it next time they have a few minutes at hand. 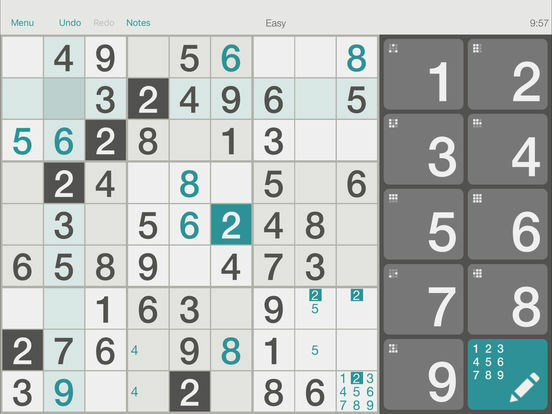 This popular version of Sudoku requires you to be on top of your game to solve these Killer puzzles. It has a cool interface and intuitive controls. 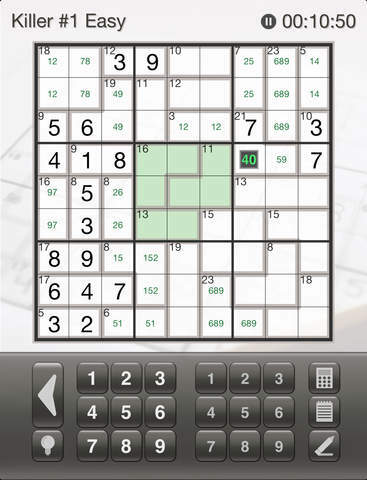 The app comes with dual keypads, autosave, Combination lists, puzzle gallery, sum button, combination list button, mini-calculator, auto-note feature, undo and redo buttons, mistake highlights, two color schemes and 10 free puzzles. For more on these features, check out our review. 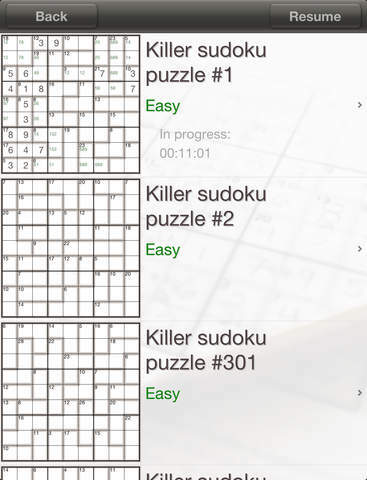 There’s also a variety of in-app purchases to add more puzzles and more excitement to your Sudoku ventures. 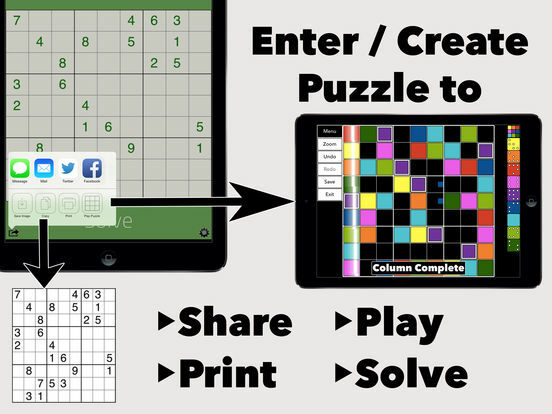 As the name suggests, this is a simple, elegant, and straightforward sudoku app that cuts out all the frills and brings its users an intuitive interface on which to play their favorite brain-building game. It has a lovely interface that is clean and pleasant to the eyes. It has many puzzles that are segregated into six difficulty levels to keep you on your toes. When you select a square, it will automatically highlight the row, column, and block to help you visualize clearly and think up a strategy. 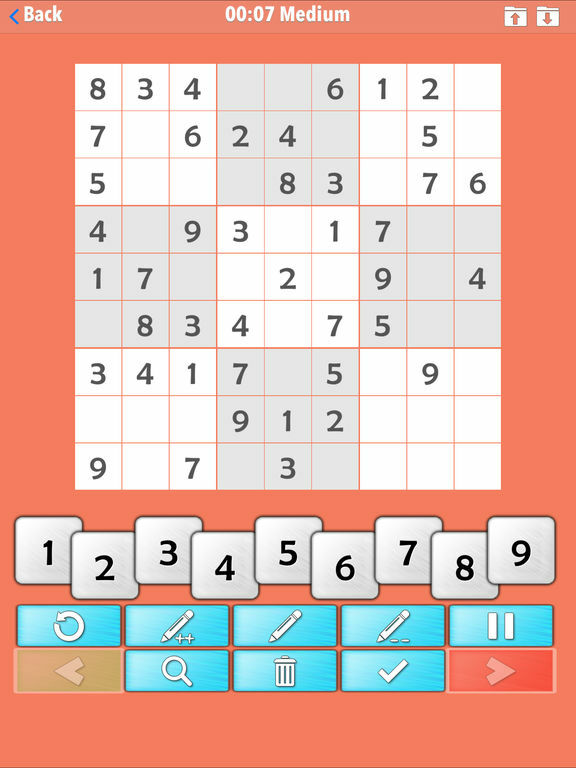 This is a free, ad-supported app, but unlike other sudoku apps, there are no pop up ads here. If the ads bother the users, they can have them removed for an IAP of $1.99. 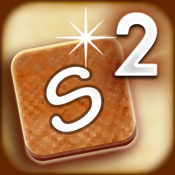 Enjoy a comprehensive sudoku experience with this awesome game which allows you to track your progress in the Game Centre to see how you rank against other players. 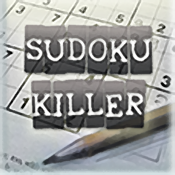 This sudoku game will provide you with a few hints to help you along the way, but don't be fooled because as you work your way up through the difficulty levels you are sure to come up against some seriously challenging puzzles that will test your mettle. 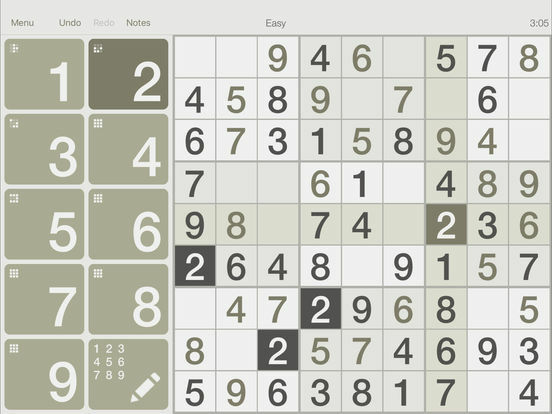 Fans of sudoku puzzles will most likely never get bored of this one because there is always a fresh new puzzle to try out if you get stuck at any point. 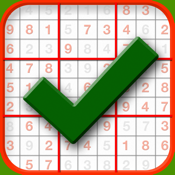 If you are looking for an epic Sudoku experience, then check out this app. 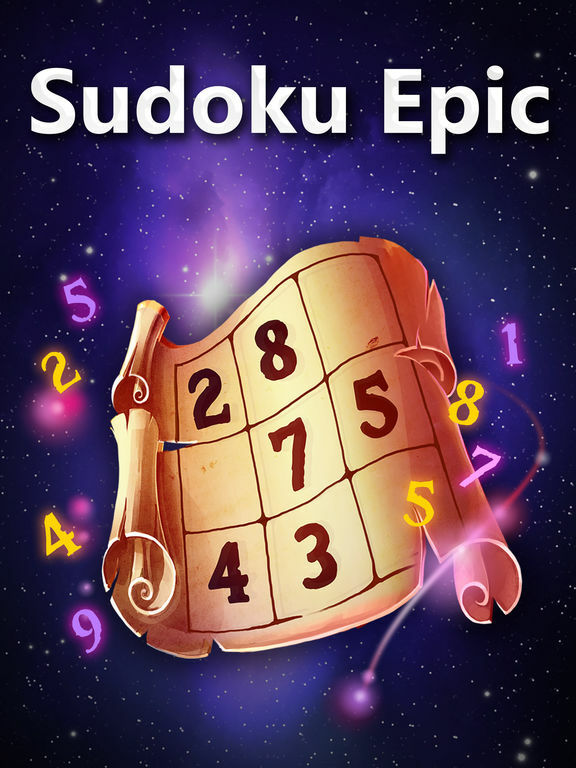 It has 5 different Sudoku games in one, which gives you more options and more fun. 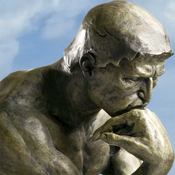 There are thousands of puzzles and goals that will challenge you. Get new puzzles daily, complete your goals, get hints if needed, 5 levels of difficulty, auto notes, and more. 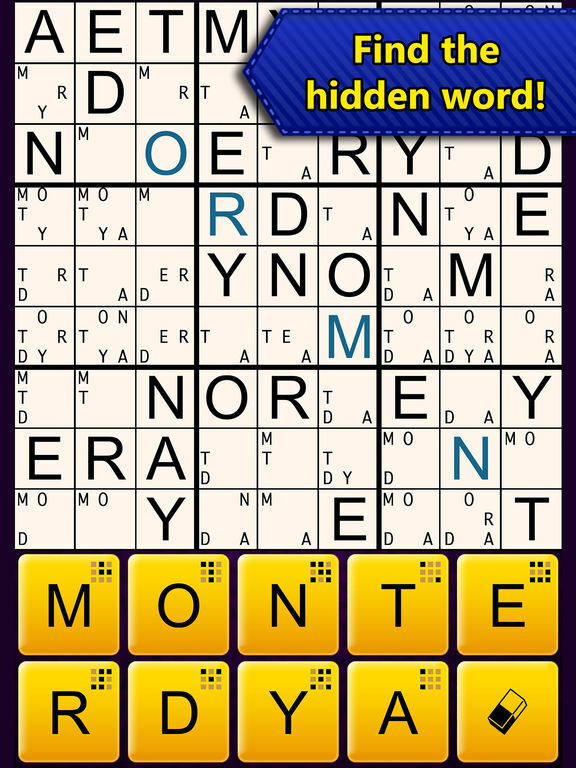 The Wordoku game requires you to find the hidden word and Killer Sudoku is for the advanced players. 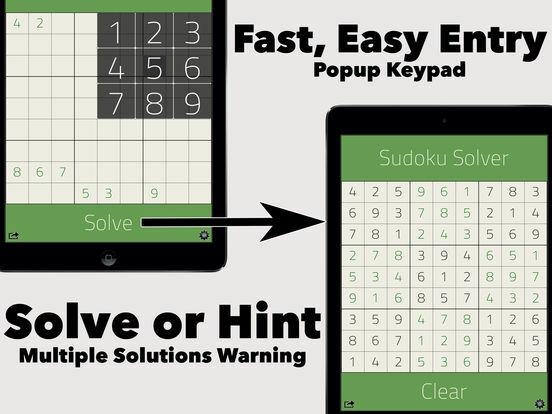 There’s something for everyone in this wonderful Sudoku app. An in-app purchase is available if you desire to get the premium version. 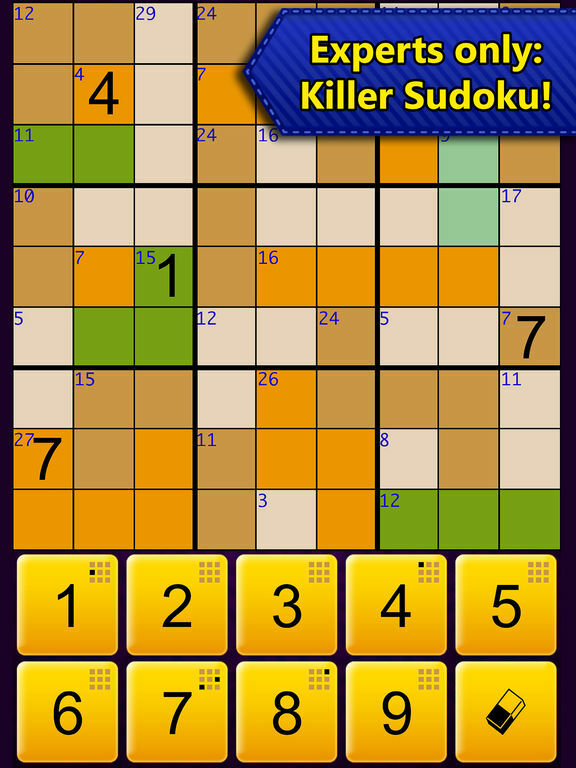 Sometimes, we might need a little assistance with trying to solve a difficult Sudoku puzzle. This app is designed to help those who want help. It’s easy to use and has a friendly interface, clean look and sleek design. 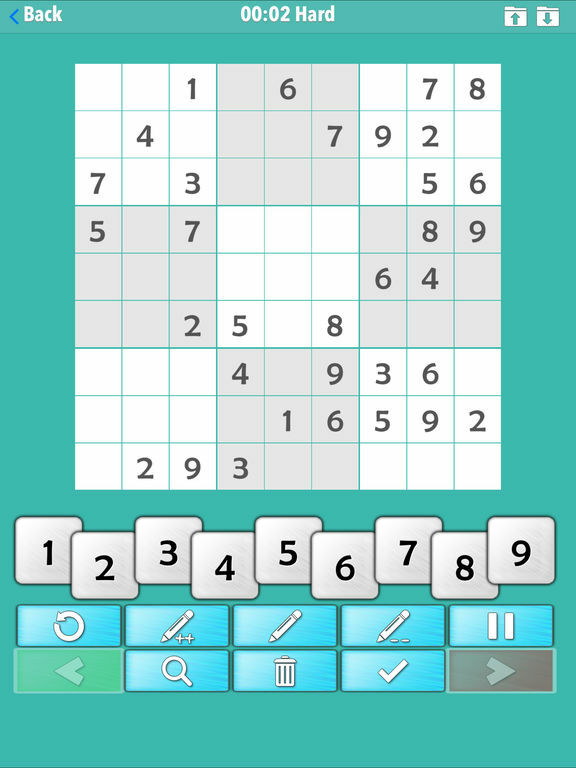 You have the option to solve the whole puzzle or just to select one number at a time. This is great for those that don’t want the entire thing given away but need just a little nudge in the right direction. 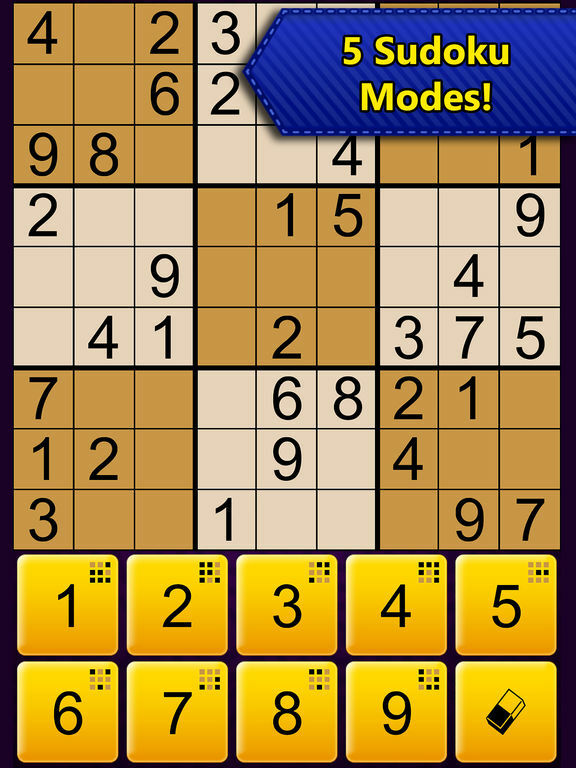 Shake the iDevice to erase last entry, open puzzles that you manually entered via Vivid Sudoku and if you desire to remove the ads, there’s an in-app purchase for that. 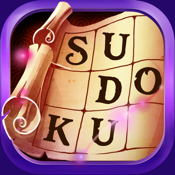 Sudoku Joy offers 17 levels of difficulty, which will guide the novice into becoming an expert. 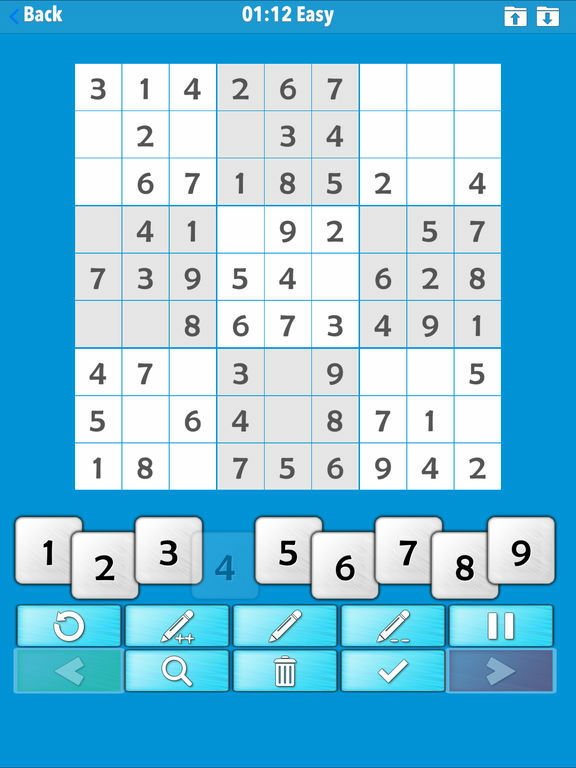 The app offers a tutorial with practice games and an advanced hint system. This is perfect for those of you that are still learning how to play. There’s a puzzle generator for unlimited play, scan puzzles from a book or newspaper, easy to read digits, learn new techniques through tutorials, infinite Undo and Redo, six color schemes, manual or auto pencil marks, game clocks, choice of digit styles and so much more. There’s an in-app purchase to remove the ads on this app. 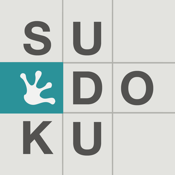 Sudoku Joy provides hours of enjoyment for users just starting out to those more advanced. 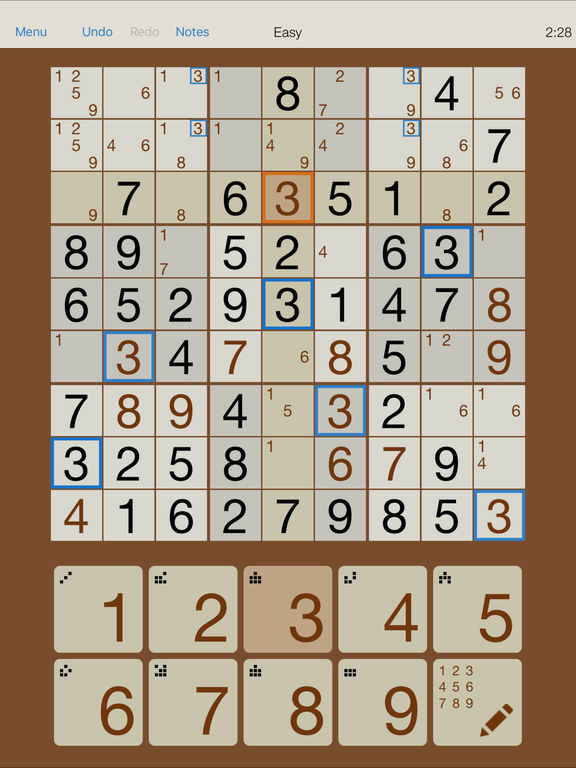 There’s an unlimited amount of puzzles for you to satiate your wildest Sudoku desires. Play anytime you want online or offline with various levels of difficulty. The app allows you to play across all of your iDevices, Undo and Redo as many times as you want, 10 concurrent grids, Manual notes or Automatic notes, error highlights, customizable display settings, and more great features. The app’s design is fast, user friendly, big buttons and non-intrusive. You can upgrade the app to get 5 more difficulty levels. 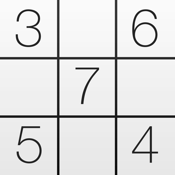 This Sudoku app guarantees that you will never have to look for a paper Sudoku puzzle again. There are 4 levels of difficulty all on an intuitive interface that has many cool functions and features right at your fingertips. If you have to stop playing or somehow experience an interruption, the app is saved exactly where you left off. There are 3 input methods, pencil marks, Auto-save, Undo and Redo, hints, real time competitions, top scores, history of scores, highlight specific digits, see your errors and track your progress online. This app is supported by ads. However, there’s an in-app purchase for the premium version.